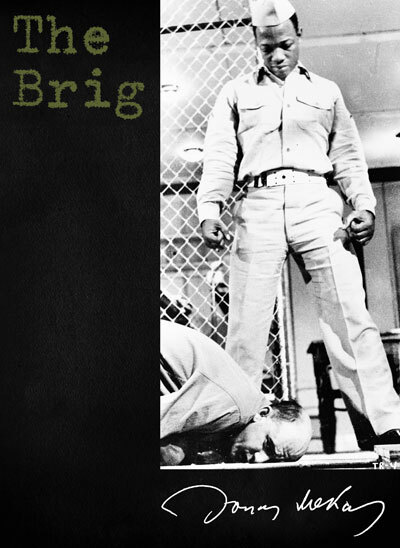 The Brig is a raw slice of new American cinema filmed in an off-Broadway stage with such brutish authenticity that it won a Venice festival grand prize as best documentary. Part drama, part polemic, with shock-wave sound and a nightmare air that suggests Kafka with a Kodak, the movie does exactly what it sets out to do - seizes an audience by the shirtfront and slams it around from wall to wall for one grueling day in a Marine Corps lockup. - Time Magazine, September 1964 The Brig is a modern Inferno. The men who enter it abandon all hope of mercy. Here, hell is a Marine Corps prison in which humiliation and brutality are dished out according to the book, with guards and inmates performing a mad ritual of degradation... A metaphor of protest against man's meaningless inhumanity to man, The Brig by Kenneth H. Brown, began as a production of the Living Theater, New York's most important avant-garde company. When tax collectors closed its tiny second-foor auditorium in Greenwich Village, Jonas Mekas, editor of Film Culture and reporter on the New American Cinema for the Village Voice decided that the play had to be preserved on film. To do this, director Judith Malina and her actors had to break into their own theater during the night for one last performance (with no retakes) for the benefit of Mekas' cameras... From the moment they awake, the prisoners are at rigid attention. Throughout the men are taunted and beaten by the guards, who often don't even require a pretext for their brutality. What Brown shows so damningly is the insanity that results when a form of government permits men to have other unchecked power over other men. The guards have been turned into sadistic monsters. One is left with the sense of the sheer stupidity of the penal system, for what it accomplishes is not punishment but the destruction of the individual.' - Los Angeles Times, August 1965. I went to see The Brig, the play, the night it closed. The Becks were told to shut down and get out. The performance, by this time, was so precisely acted that it moved with the inevitability of life itself. As I watched it I thought: Suppose this was a real brig; suppose I was a newsreel reporter; suppose I got permission from the U.S. Marine Corps to go into one of their brigs and film the goings-on: What a document one could bring to the eyes of humanity! The way The Brig was being played now, it was a real brig, as far as I was concerned. This idea took possession of my mind and my senses so thoroughly that I walked out of the play. I didn't want to know anything about what would happen next in the play; I wanted to see it with my camera. I had to film it.' - Jonas Mekas All rights of the producer and of the owner of the work are reserved. Unless authorized by the rights holder, no duplication, hiring, lending or public screenings are allowed. All rights of the producer and of the owner of the work are reserved. Unless authorized by the rights holder, no duplication, hiring, lending or public screenings are allowed. For institutional purchase please contact Re:Voir directly. The Brig is a raw slice of new American cinema filmed in an off-Broadway stage with such brutish authenticity that it won a Venice festival grand prize as best documentary. Part drama, part polemic, with shock-wave sound and a nightmare air that suggests Kafka with a Kodak, the movie does exactly what it sets out to do - seizes an audience by the shirtfront and slams it around from wall to wall for one grueling day in a Marine Corps lockup. - Time Magazine, September 1964 The Brig is a modern Inferno. The men who enter it abandon all hope of mercy. Here, hell is a Marine Corps prison in which humiliation and brutality are dished out according to the book, with guards and inmates performing a mad ritual of degradation... A metaphor of protest against man's meaningless inhumanity to man, The Brig by Kenneth H. Brown, began as a production of the Living Theater, New York's most important avant-garde company. When tax collectors closed its tiny second-foor auditorium in Greenwich Village, Jonas Mekas, editor of Film Culture and reporter on the New American Cinema for the Village Voice decided that the play had to be preserved on film. To do this, director Judith Malina and her actors had to break into their own theater during the night for one last performance (with no retakes) for the benefit of Mekas' cameras... From the moment they awake, the prisoners are at rigid attention. Throughout the men are taunted and beaten by the guards, who often don't even require a pretext for their brutality. What Brown shows so damningly is the insanity that results when a form of government permits men to have other unchecked power over other men. The guards have been turned into sadistic monsters. One is left with the sense of the sheer stupidity of the penal system, for what it accomplishes is not punishment but the destruction of the individual.' - Los Angeles Times, August 1965. I went to see The Brig, the play, the night it closed. The Becks were told to shut down and get out. The performance, by this time, was so precisely acted that it moved with the inevitability of life itself. As I watched it I thought: Suppose this was a real brig; suppose I was a newsreel reporter; suppose I got permission from the U.S. Marine Corps to go into one of their brigs and film the goings-on: What a document one could bring to the eyes of humanity! The way The Brig was being played now, it was a real brig, as far as I was concerned. This idea took possession of my mind and my senses so thoroughly that I walked out of the play. I didn't want to know anything about what would happen next in the play; I wanted to see it with my camera. I had to film it.' - Jonas Mekas All rights of the producer and of the owner of the work are reserved. Unless authorized by the rights holder, no duplication, hiring, lending or public screenings are allowed. All rights of the producer and of the owner of the work are reserved. Unless authorized by the rights holder, no duplication, hiring, lending or public screenings are allowed. For institutional purchase please contact Re:Voir directly. 28 page French-English bilingual booklet with texts by Jonas Mekas and Saul Gottlieb.